Friends, i receive a lots of request to post a video tutorial on "how we can practice SQL in Microsoft Access". 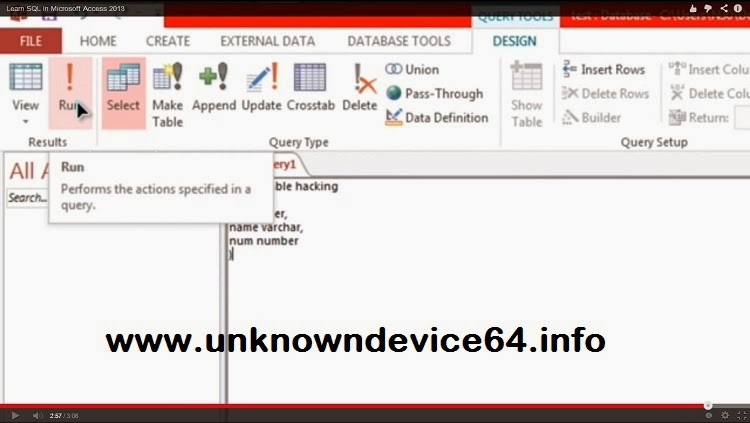 so i made below video showing how we can execute SQL Queries in Microsoft Access in simple way. Later i will try to post tutorial with voice..
by using this you can practice to learn SQL. No Comment to " SQL Tutorial : Learn SQL in Microsoft Access "